Does Research have to belong to one Field? Your contributions will support the $1M/year research cost necessary to sustain the incredible momentum going in Dr. Capasso’s group. Many projects are on the verge of a major breakthrough but lack the funding to make it through the final stretch of experimentation, due to the high cost of highly skilled postdocs and of the state-of-the-art equipment. By choosing to donate, you will not only give these projects the final push they need to impact many applications but also open the door to exploring other cutting-edge topics in science. Too often scientific research, which is meant to be venturing past the walls of our current understanding of nature, winds up confining itself to a box drawn by the specific discipline it strives to be distinguished within. Scientists aim to discover new phenomena and pen new theories whereas engineers pride themselves on their inventions that benefit humanity. 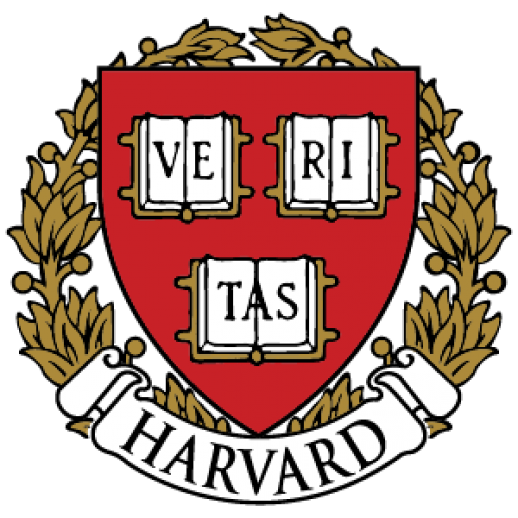 It is rare to come across a researcher like Dr. Federico Capasso of Harvard University, who encompasses both roles and focuses on providing discoveries and inventions that can broadly benefit mankind instead of to any one particular field of science. With this new open-ended approach to research -- which is a reprise of how research was approached in the days of the Renaissance -- Dr. Capasso tackles larger, more complex projects that occur at the intersection of multiple disciplines, including physics, engineering, materials science and others. Leading with the problem at hand is what has driven Dr. Capasso to design artificial nanomaterials which led him to invent and fabricate the first quantum cascade lasers (QCL), revolutionary light source which have a wide range of applications that benefit mankind. By taking a broader approach to optics and rethinking the ways in which light can be reflected and refracted, Dr. Capasso has invented “flat optics” with the promise of revolutionizing optical technology to include sleek, ultra-thin lenses never seen before. These are only a few examples of the boundless innovation his research has delivered so far. With more than 40,000 citations to date, and of that, more than 16,000 since 2010, it is evident that Dr. Capasso’s work has been garnering interest exponentially. For his advancement of optical physics in previously unexplored directions, he has received the SPIE Gold Medal award, which is the highest award of the International Society for Optical Engineering, as well as the Institute of Electrical and Electronic Engineers (IEEE) Edison Medal and the King Faisal International Prize for Science. In the press release of the latter, the committee, presided by Nobel Laureate Theodore Haensch, recognized Dr. Capasso as one of the world's most creative physicists. His creativity surges through all facets of his research, including the way that Dr. Capasso manages his lab: “horizontally.” Whether he is teaching a course or guiding their experiments, Dr. Capasso makes it a point to put himself at the level of his students so that they see him as a colleague rather than an authority figure. Inspired by his 25 years served at Bell Laboratories in a dynamic and collaborative environment, Dr. Capasso believes that distance between a student and a teacher does not help research or learning. Research is best conducted “from the bottom up” by asking questions about the world, and thus discovering new directions to explore and problems to solve. Development of Quantum Cascade Lasers: Dr. Capasso’s invention uses invisible infrared light over a broad range of wavelengths to detect small amounts of chemicals with much greater sensitivity than its predecessors. Having this powerful tool will critically improve pollution monitoring as well as noninvasive medical diagnostics and safety in the chemical production industry, where even tiny amounts of toxic or flammable chemicals could lead to catastrophic consequences. QCLs also re-paint our picture of environmental chemistry, as colleagues of Dr. Capasso fly them out around the globe in aircrafts and drones to gain a precise understanding of the exact chemicals responsible for climate change. QCLs alone have garnered more than 40,000 citations and hundreds of thousands of entries on the Internet. Refurbishing the Laws of Optics with “Metasurfaces”: By lining a surface with tiny metal bars of size and spacing much smaller than the wavelength of light, Dr. Capasso has discovered a method to control the reflection and refraction light in any desired direction. With this concept of “flat optics” pioneered by Dr. Capasso’s group, the potential for a revolution in optical technology could well be on its way. Future lenses will produce sharper images and be so thin that the thickness of a cell phone could be reduced down to that of a credit card. Another exciting discovery of Capasso’s is coatings much thinner than a wavelength that can be deposited even on rough surfaces and change color with only a few atoms' difference in thickness, a finding that opens up new possibilities for sophisticated optical devices, as well as consumer goods such as jewelry, in the natural coloring of food and spray painting of race cars and new techniques in the visual arts. Harvesting Untapped Forms of Renewable Energy: The Earth gives off a vast amount of thermal energy that Dr. Capasso is looking to harvest and convert into direct electrical power by exploiting the difference in temperature between Earth and the sky, particularly at night. The concept for this project arose with the problem that solar energy cannot collect sun rays at night; therefore, thermal energy could bridge the gap that currently prevents renewable energy from widespread implementation. Currently, Dr. Capasso is trying to raise funds to experimentally confirm the theory they proved in a paper published recently on harvesting of thermal energy and its potential benefits. Discovery of “Quantum Levitation": Capasso made the remarkable discovery that an object immersed in a fluid can be levitated tens of nanometers above a surface thanks to a quantum mechanical repulsive force postulated theoretically over 40 years ago. In addition to confirming a fundamental physics prediction Capasso is exploring how this force can be used to design novel micromechanical devices with greatly reduced friction such as ball bearings, actuators and compasses. Dr. Capasso grew up in Rome, Italy and obtained his Ph.D. from the University of Rome in 1973 with a specialization in nonlinear optics. The next year he obtained a permanent place as a research physicist at Fondazione Ugo Bordoni, an organization geared toward promoting scientific research in telecommunications. 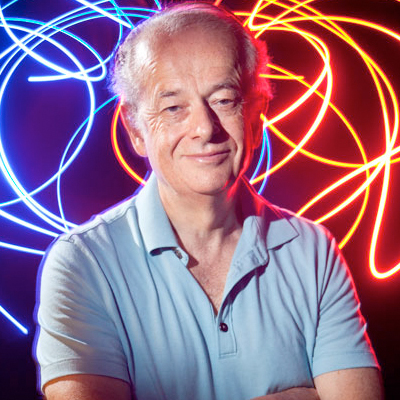 There, Dr. Capasso aided the development of optical fibers, laser amplifiers, and mode theory. After some time, however, a desire to travel to the United States propelled him to apply for a Rotary Fellowship that landed him in a postdoc position at Bell Laboratories in New Jersey in 1976. Dr. Capasso dedicated over 25 years to Bell and learned an abundance of valuable lessons in innovation, competition and team collaboration at the same time that he has carried over into his lab at the School of Engineering and Applied Sciences of Harvard University. His most prized lesson is the ability to maintain an open forum for questions amongst his students, encouraging them to bring up their own curiosities to foster a vigorous debate so that the best ideas can emerge through a kind of “ Darwinian selection” and engage them, instead of fearing his authority. This engaging system is the basis of the unique and creative work that has been continuously delivered by the Capasso group. A fascination with physics began at the age of eight when his father gave him a children’s book called Our Friend the Atom, based on the famous 1957 Walt Disney television series of the same title. Reading it instilled an “instant love affair” with science for the young Capasso, who at that moment decided to pursue nuclear physics as his passion in life. Outside of science, Dr. Capasso also harbors a deep appreciation for visual and performing arts. He claims to have a fairly “encyclopedic” knowledge of the arts, partly due to the education curriculum in Italy, which included eight years of Latin and five years of Greek language study. Two of his favorite hobbies are visiting museums and taking trips to New York City, where his family has a small apartment for the occasion of watching performances. But science and art are only a few treasures that have captivated Dr. Capasso’s fascination with the world; others are Zen philosophy and Japanese haiku poetry. Haiku conducts appreciation in the strict rules of their 5-7-5 syllable form, and Dr. Capasso is intrigued by how much sensory information famous poets like Basho can convey with such few words.